The concept of an ideal vacation is usually never complete without imagining pristine beaches with crystal clear waters. Whether it involves sunbathing at quaint peaceful location or partying all day and night long, island holidays offer the perfect getaway from the hustle and bustle of daily life. 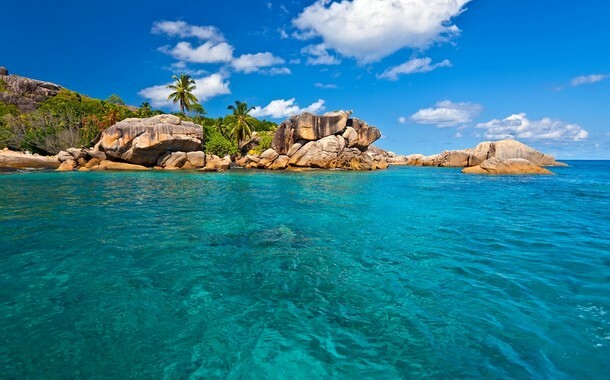 Seychelles has long been a dream destination for beach lovers. This tropical archipelago, with its 115 islands, is regarded as paradise on earth because of its untouched natural environment. With its long stretch of white and pink sand offset by gigantic granite boulders, turquoise water, and rustling palm trees; Anse Source d'Argent is one of the most popular beaches in Seychelles. 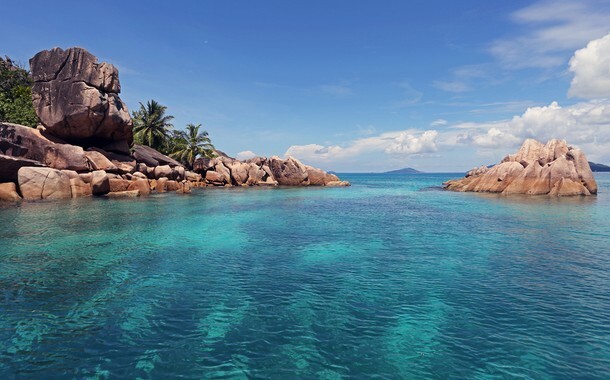 Since it is protected by a reef, the waters are calm and perfect for swimming and snorkelling. The beach is accessible on foot or by bike or ox-cart rides from the main jetty at La Passe. Host to spectacular tropical beaches and azure blue waters of the Indian Ocean, the coral islands of the Maldives offer phenomenal underwater adventures and exceptional luxuries proving to be one the planet’s ultimate places to unwind. Apart from white sand beaches, the enchanting crystal clear lagoons are a heaven for water sports, snorkelling and diving. 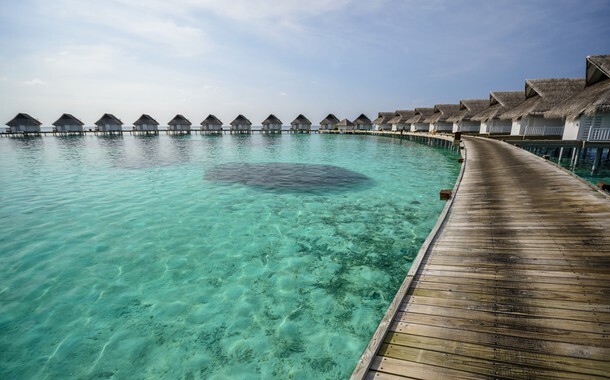 Given the abundance of rich marine life, Maldives is regarded as a premium destination for scuba diving with enthusiasts diving in the presence of manta rays, whale sharks, reef sharks, et al. The air of serenity surrounding the archipelago makes these atolls an ideal island paradise to escape from the real world to a palm tree dotted fantasy. Explore our exotic Maldive holidays. Bora Bora is one of the islands that constitute French Polynesia in the Pacific Ocean. Although just 18 miles long, this iconic sliver land has much to offer. Located in a protected lagoon lined by white sandy shores against an impressive panoramic backdrop of two lush green volcanic peaks, Bora Bora stacks up as a brilliant vacation destination. The dramatic blue shades of the ocean harbor and rich biodiversity can be experienced by snorkelling and scuba diving in the Bora Bora waters, famous for inhabiting a variety of shark, ray species and tropical reefs. The most popular beach on the island is the Matira beach which boasts of spectacular sunsets and water activities like kayaking and outrigger canoeing. 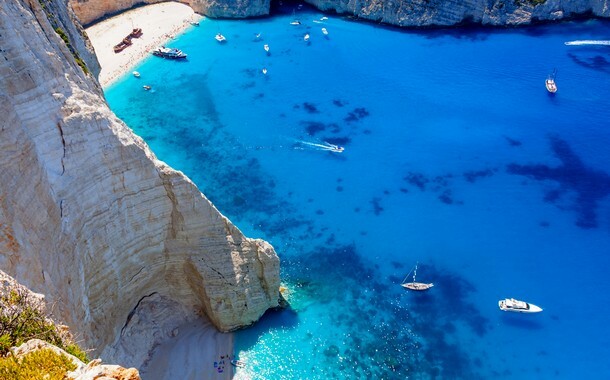 Situated between stark coastal cliffs, three beaches by the name of Xigia adorn the coast of Zante Island. The Xygia Sulphur Beach or Sulphur and Collagen Spa Beach are small beaches famous for natural spring water flowing into the sea. The water contains collagen and sulphur, which lends a distinctive smell to the area. It is very relaxing to swim in the mixture of the spring waters and sea water which also has numerous therapeutic properties for bone and skin conditions. The untouched natural ambience, white pebble sand, natural springs and vivid blue waters ensure Greek Island relaxation and rejuvenation at its best. Phra Nang Bay is among the most spectacularly scenic beaches in Thailand. Famous for its fine white sand, crystal clear waters and surrounded on either side by soaring karst rock cliffs; this beach is accessible only by long-tail boat from Ao Nang. The cliffs neighbouring the beach provides an excellent rock climbing opportunity for the adventurous ones. The Phra Nang Cave is located at the edge of the bay, famous for its rock formations and a shrine with offerings by fishermen. It is believed that offerings made to goddess Phra Nang will help her devotees with success and fertility. 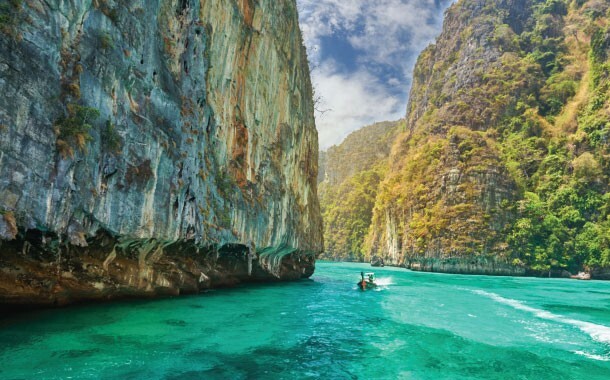 Explore our exotic Thailand holidays. The archipelago of Fernando de Noronha is located off Brazilian coast and is famed to be a beach-lovers' paradise. 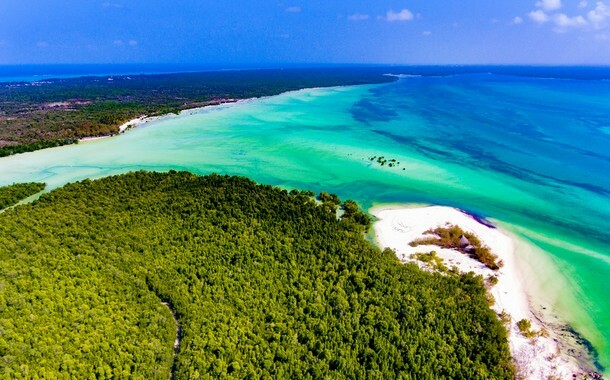 Designated as a UNESCO World Heritage Site, it offers magnificent tropical landscapes, abundant marine biodiversity and crystalline waters. Fernando de Noronha has more than 15 breathtaking beaches with cliffs, caves and hills which offer terrific swimming and hiking opportunities. 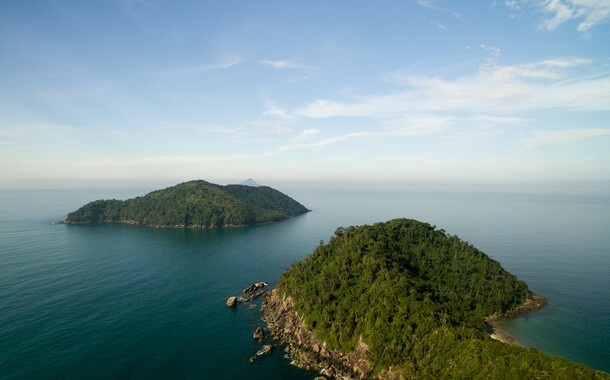 With its red sand and pristine waters, Baía do Sancho is one of the most spectacular beaches, accessible only by descending down a 100 foot cliff using a few iron ladders. The rich biodiversity and crystal clear water makes it a perfect location for snorkelling and diving among the marine life teeming with dolphins, corals, sponges and lobsters. The large waves off the beaches such as Cacimba do Padre are excellent surfing havens. The plethora of activities offered here make Fernando de Noronha an addictive destination. It is accessible only by a plane or cruise from the mainland.